Artificial intelligence has quickly made the transition from a future technology to one that surrounds us in our everyday lives. From taking better pictures to predicting what we will say next in an email, AI is being built into the products and services we use each day to transform our lives for the better but how will this emerging technology affect the future of work? To better understand the growing role AI is playing in the lives of both businesses and consumers, TechRadar Pro spoke to EY’s Global Chief Innovation Officer Jeff Wong. What does the role of “chief innovation officer” actually entail? What is your role within the business? As EY Global Chief Innovation Officer, my job is to create ‘new.’ That means everything from creating new services to creating new ways we should deliver those services, to thinking about how people and processes and business models need to change within the context of the environment.I’m focused on transforming EY for the future and I am committed to making our people superheroes. What do I mean by that? We’re continuously evolving and using data, automation and AI to make our employees – better, faster, stronger – and they love it! How does EY see itself as a leader in encouraging technology innovation in its business? EY is more than a professional services organization – we’re also a data powerhouse with connectivity to c-suites around the world. We’re a leader in innovation because we invest in learning how to make technologies work at scale and share this knowledge with our clients. We understand that initial pilots don’t always lead to results, but we work to find solutions that ultimately lead to success. Are there any particular areas of technology that your team is focusing on in 2019? We continue to focus on expanding our automation and AI initiatives, especially after we saw AI’s ability to significantly improve efficiency- doing things faster and with more accuracy. Last year we saved 2.1 million hours of our people’s time by automating repetitive tasks. We were able to repurpose and reinvest these hours back into our business.One example of how we are using AI is to help review contracts. In our first 90 days of effort, we were three times faster and better at analyzing these contracts. We’ve gotten even better since then. This frees up our people to focus on more meaningful questions, including the risks associated with them. How big a role will AI play in your work going forward? AI is now and it could be one of the most disruptive technologies in history. It’s solving business problems, and the ROI is evident. Our strategy is to embed this technology into all of our businesses.We’ve developed global proof of concepts using AI to help support us and our clients. For example, we’re using drones in inventory observations to enhance audit quality and improve the accuracy and frequency of inventory data collection.Another example is our capital allowances automated review tool (CAART). Identifying potential capital allowances requires sifting through documents and databases – which is time consuming and complex. CAART provides significant savings in both time and cash tax by using smart technology and machine learning. Can AI really be the panacea many businesses believe it to be? I am an AI optimist. Companies around the world are going to have to invest just to maintain competitiveness. 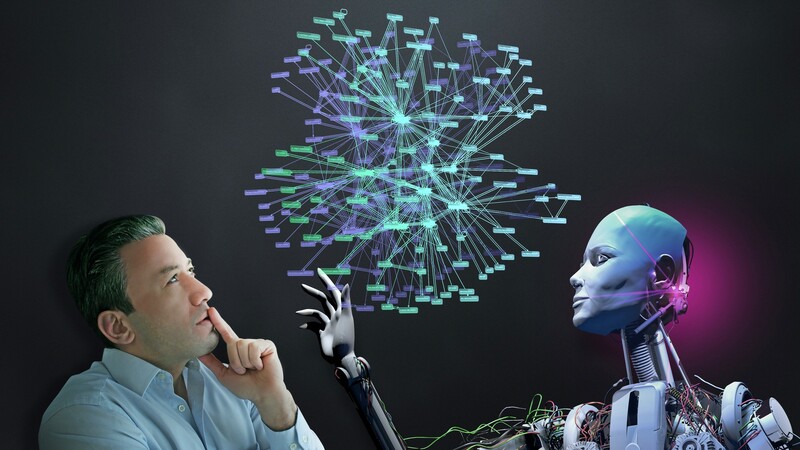 I’m not immune to the debate about AI, but I also know the direct and immediate impact AI can have on every industry.So instead of debating the theoretical, I believe it is time to move forward and develop the practical tools around AI to manage the downside and create the positive opportunities I know this technology can provide. We want to be able to trust AI technology. We need to be able to monitor its outcomes. We need to make sure we are investing in our people as much as we invest in technology. How do we ensure there are enough skilled workers to get the most out of the potential of AI technology? I think it is the obligation of leaders of companies and governments around the world to invest in their communities and workforces to make sure that all people are developing skills that will enable them to evolve and grow with the change. Disruption can provide opportunity.Organizations like AI4ALL, where I sit on the Advisory Board, are making strides to promote diversity and inclusion by educating the next generation in AI and STEM to help close the talent gap, but academia and businesses can be doing more. At EY, we’re hiring beyond AI and focusing on STEM at the PhD level. We’re hiring a unique mix of talent including cryptographers, physicists, mathematicians and software developers. We’re also upskilling our existing talent and enabling our people to develop “hot” skills through a digital credentials program known as EY Badges, which allows employees to invest in their own careers by earning digital badges through specific learnings and experiences in future-focused skills, such as data analytics, AI, blockchain, transformation, information strategy and even sector-specific skills. What are some of the biggest changes technology can bring to our work or daily lives within the next 12-18 months? As technologies get smarter we’ll see a number of changes. We’re seeing increased workflow efficiencies and improved use of talent. AI is augmenting humans and making them more powerful, more efficient and more effective. Essentially, AI is giving employees valuable time back to refocus on their organization’s competitive advantage.